Millennials or generation Y there is a lot of research and opinions out about my generation. But Does all or any really apply to me my friends my life? How about the generation Z and X? 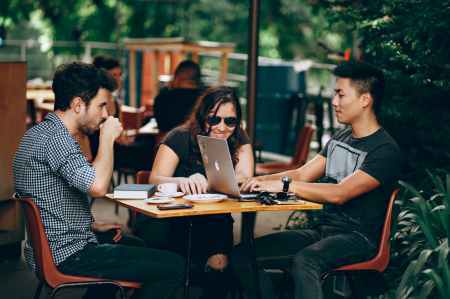 I am a millennial & I have been a people manager since 2005 hiring managing international teams that have generation X,Y and Z here is my experience and opinion about it. What actually is Generation X,Y & Z ? US Authors, historians and consultants William Strauss & Neil Howe are credited with first naming a group of people born in the 1980 is millennials because they graduated high school and entered university or work life in the 2000s. Some other researchers like the US insurance company Met Life has time lined millennials as born between 1977 and 1994. Most of the publications and research about Millennials or generation X and Z focuses on the US population. Can this easily be translated into other countries cultures and populations? In Europe for example not only generations but people in general have very different influences, habits and factors that influence us. The recent financial crisis influenced those in Spain or Ireland with more than a decade long job crises more than those in the US or Germany were the job recovery happened faster. In France the ongoing experience with horrible terror attacks influenced people and generations in the last years more than in many other parts of the world. In the US gun violence and major mass shootings influenced and impacted people and generations more than in Europe. Experienced in sharing their thoughts and life on social media & in real life homes, cars, bikes etc. Job insecurity for example is never a thing owned or experienced only by a specific generation. We all are constantly impacted by developments and experiences and no matter what year we are born in we all have to learn adapt constantly. There are new influences like social media addiction which may impact some generations more than others at the end of the day we all have to face the challenges we globally individually and currently have. Based on major impacts happening to us we might have a different preference how to approach something or how to communicate. Millennials probably had first a NOKIA phone that was there to call someone before getting a smart phone and generation X might even remember a world without mobile phones push alarms and instant messaging. Whilst Generation Z played with X-box and the Sony PlayStation Millennials used to grow up with C-64, Amiga 500, Atari and the game boy. Certainly we approach communication or life in different ways based on how we grew up. But the smart phone and social media does not only concern one specific generation. The experience of the financial crises impacts everyone regardless of when we are born. To suggest that millennials or generation Z is a naive, simple minded, self focused or lazy generation is as wrong as to assume that generation X does not use smart phones. Maybe millennials and generation Z are the most challenged generations facing an ongoing brutal waive of terror attacks since nearly two decades, facing the impact of the financial crises, global warming and having less income and opportunities than their parents. Sharing homes on Airbnb or cars on drive now is not a fancy trend it became a necessity since the cost of a car or an own home is currently not realistic for many. Millennials and generation Z want to master the challenges they have in the best way possible, and we want to be taken seriously. Companies that tried to manipulate employees with free meals in exchange for free overtime and a way to a burnout are actually not very successful in keeping their employees. Millennials actually want a stable job, fair conditions and a fair salary for their work— just like any other generation before us as well. Instead of gimmicks or self created company culture and constant branding employers might get rid of the gimmicks and start thinking about a fair work life balance and proper salaries and work conditions. Owning a car or a home has become unrealistic in the decade of crises most went through, therefore more and more is shared weather homes, holiday homes, cars or many other things. Do millennials really only want food at work? Are we really only happy when we have breakfast, lunch and dinner at work so that we stay in an office all-day? Is generation X really not using social and mobile technology? In my experience a lot of that generation based stereotyping is not applicable to people. Human beings are far more complex and adaptive then being a able to put into one characterisation. We all again and again try to put others or a group of people into a certain box, I recommend to have a closer look. Although there might be main impacts influencing different generations and new technologies being adapted in different ways I would not argue to approach everyone as they are and next month some one could be a different person than they have been this month. What we all have in-common across all generations is the gift to learn,change, adapt and develop ourselves. Conclusion Who are we really Millennials? And How about Generation X,Y & Z What Do We Really Want?